Cloud Computing is all around us. You may not realize it but just reaching this webpage means you already are Cloud Computing! The fact is the term Cloud Computing has become somewhat of a fashion statement for what we have all come to know as “The Internet”. It wasn’t long ago that most of us would have said “What is the Internet?”. Well, it’s pretty clear now what the Internet is, and not adopting a healthy portion of it in day to day life can be a significant disadvantage compared to others who are using it to their advantage, especially when it comes to running your business. "the Cloud is about making the next generation of IT an endless world of possibilities for our enjoyment, benefit and convenience"
Whether you are accessing email via your smartphone for convenience, need to do some quick online banking to avoid those annoying teller lineups, or are searching online for directions to get you to an important business meeting. Cloud Computing and The Internet provide some pretty amazing technologies to help you get things done where and when you need to. Let’s use an example to make this comparison between Cloud Computing and The Internet make a bit more sense. Imagine you just bought a brand new shiny red electric car. Chances are that it came fully charged with electricity and off you would go. But wait, sooner or later you are going to need to give it a charge to keep it moving. So you go to the local hardware store and buy a generator, then to the gas station to get some fuel for it and begin using it to charge your new vehicle…..well, probably not too likely. Instead you go home plug the car in, charge it up and begin driving again. At the end of the month you receive your utility bill and pay for the electricity that you used to charge your car; no more, no less. Cloud Computing is very much the same in it provides a utility approach to conventional computing. Think of the Internet as that shiny red electric car and Cloud Computing as the electricity you bought to make it run. The car without the electricity wouldn’t work very well and it wouldn’t make much sense to buy an expensive gas powered generator and fuel just to charge it up. So instead you buy your electricity from the utility company and only pay for what you need and use. "Cost savings, environmental impact, efficiency, flexibility, reliability, accessibility all add up to greater value and a better product or service. "Cloud Computing and The Internet are very similar to the above example, but even more so when it comes to business and information technology. Rather than having to invest thousands of dollars in hardware and be faced with the burden of ongoing support and upgrade costs, now business can buy their technology services on a predictable subscription based utility model. Technology services such as email, file sharing, document management, messaging, video conferencing, database access, pretty much any service you need to run your business can be purchased through reputable service providers on a pay-as-you-go basis. The bottom line is business is destined to appreciate better IT services, more cost savings, quicker response time, a higher quality of service and a predictable pricing model; all because of Cloud Computing and The Internet. As technology is advancing rapidly, so is the reliability, stability, security and performance of the Internet. Major hardware manufacturers, software developers and service providers have shown their commitment to the Cloud(aka Internet) by producing some incredible new technologies and infrastructures. New Internet based applications are being developed everyday. New interesting technology and creative ways of leveraging the Cloud are being discovered as you read this, and without a doubt they are just going to keep evolving and advancing. Gone are the days when the Internet was just about promoting your business with a great website, or simply looking up information on Google. Now the Cloud is about making the next generation of IT an endless world of possibilities for our enjoyment, benefit and convenience. As the shiny red electric car provides an alternative to conventional gas powered cars, Cloud Computing provides an alternative to conventional IT services in the way they are delivered and consumed. Although the electric car is built, fueled and maintained differently, in the end it is still a car. The same is true for the services that run in the Cloud. The basic purpose of each service doesn’t change, but the advantages to the alternative can be quite significant. Cost savings, environmental impact, efficiency, flexibility, reliability, accessibility all add up to greater value and a better product or service. So now that we have that all cleared up the next time you see a shiny red electric car you will think of cloud computing, right? Well probably not, but you are sure to hear a lot more about Cloud Computing in the near future and how it will become the mainstream to describe the Internet services we have come to use and depend on today. Premier IT Support, Cloud Computing Integration, IT Consulting, Proactive IT Management, Computer and Networking Services are all available through Charvar. We are a Vancouver Island local IT Services Company located in Nanaimo, British Columbia. 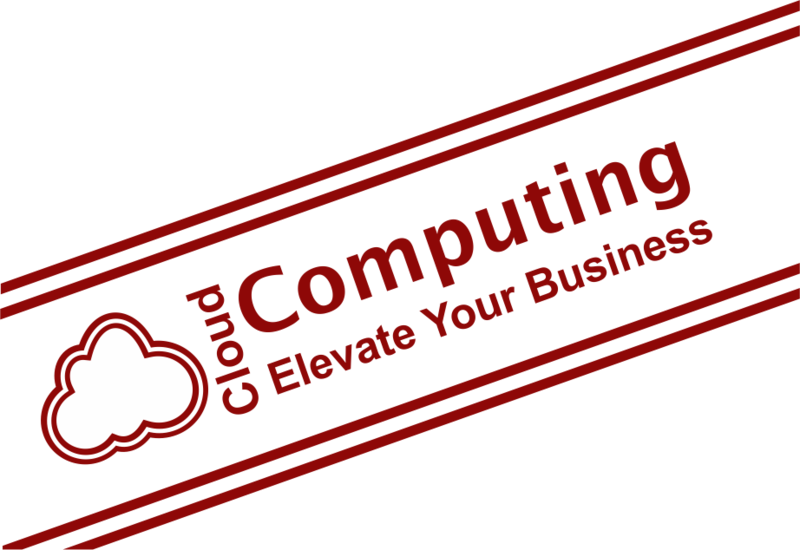 Call us today and see how Cloud Computing can Elevate Your Business!